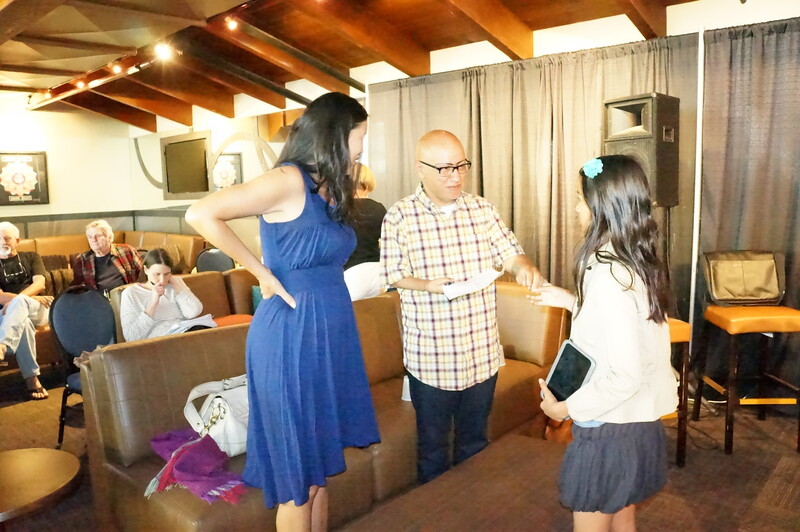 In July, P&W-funded fiction writer Alex Espinoza, author of The Five Acts of Diego León, was among the faculty at the annual Community of Writers at Squaw Valley conference in California. Laura Cerruti, Squaw Valley’s director of development, blogs about his visit. “Do you love the Community of Writers?” asked Alex Espinoza, a workshop teacher at the forty-third annual Community of Writers. He was introducing the Published Alumni Reading Series, and the audience’s response rivaled the volume of the cheerleaders whose camp often shares our airspace in Squaw Valley—not bad for a group of writers ranging in age from early twenties to late eighties, and from first-timers to seasoned alumni. Espinoza’s introduction set the stage for an electric evening in the Olympic Village’s Plaza Bar, where even the mountain seemed to be leaning in to listen. When a writers’ workshop reaches middle age, it becomes as defined by its alumni as by its current participants. Espinoza is an excellent example of this beneficial cycle. A graduate of the UC Irvine MFA program, Espinoza first attended the Community of Writers in 2004, returning in 2005. Community of Writers founder Oakley Hall directed the Irvine program for two decades, and Irvine MFAs have been attending the conference on special scholarships for many years (Ramona Ausubel, Michael Chabon, Richard Ford, Maile Meloy, and Alice Sebold—among others—also attended both programs, and Irvine MFA Louis B. Jones is now the co-director of the Writers Workshop). Espinoza is truly a link back to the origins of the Community of Writers. Espinoza helped make this year’s workshops a life-changing experience, whether participants worked with him in group workshops, met with him during individual conferences, or attended his conversation with Dagoberto Gilb. Born in Tijuana, Mexico, and raised in suburban Los Angeles, Espinoza’s background speaks to a California experience that is often underrepresented in published work. His most recent novel, The Five Acts of Diego León (Random House, 2013), is broad in its scope of depicting an immigrant pursuing his dreams, but also completely grounded in time and place: Hollywood during its golden age. Photo: Alex Espinoza (center) at Squaw Valley.